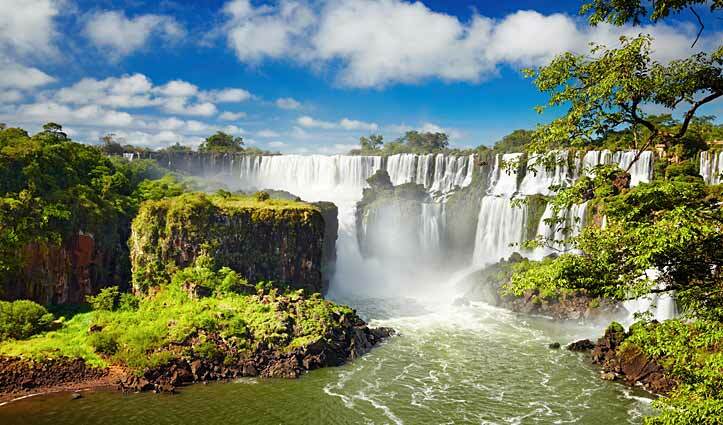 One of the many highlights of South America is undoubtedly the magnificent Iguazu Falls. Situated on the border of Argentina and Brazil, Iguazu Falls is one of the widest waterfalls in the world spanning an incredible 2,700m. There are 275 individual falls spilling an incredible 13 million liters of water every second. I have always been an enthusiast of nature’s wonders and to say the Iguazu Falls were amazing is an understatement. The day I spent exploring this natural wonder left me humbled and in awe of its size and power. 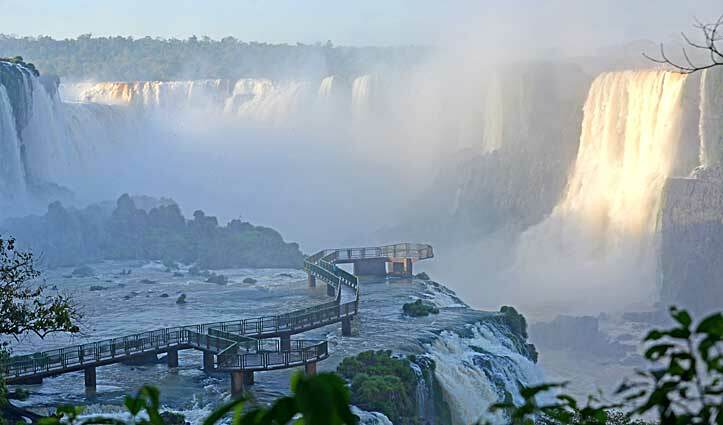 Following is a brief overview of my day tour of Iguazu Falls on the Argentine side. My visit started in the small town of Puerto Iguazu in Argentina, located 18km from the falls, where I spent the night before my visit. 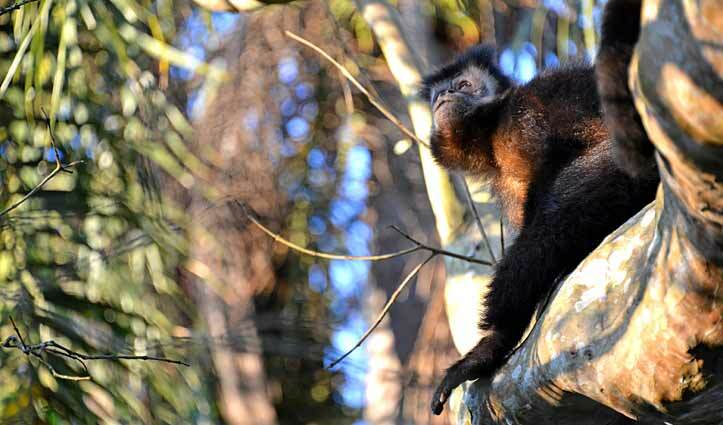 Early in the morning I boarded my transfer bound for the entrance of Iguazu National Park and felt giddy with excitement. As I walked through the entrance I had my first glimpse of the falls which induced a feeling of elation, I was so excited and full of energy, ready for a day of exploring. My tour guide ‘Pedro’ took me along the upper trails of the park first which offered panoramic views of the falls. We then visited the lower trails which venture close to the actual waterfalls and through the surrounding jungle. Along the way Pedro explained how the falls were created by volcanic activity and that they are constantly changing due to the effects of erosion. He pointed out well camouflaged, native wildlife, hidden among the foliage of the jungle and I was spoiled with more great views of the falls along the way. After a morning of discovery on foot I boarded the Gran Adventura which took me up the Iguazu river below the falls and as close as possible to the torrents at the foot of the falls. The roar of the water crashing down around me was almost deafening and yes I got wet! Luckily I had a raincoat and a change of clothes (a dry bag for your camera is also a must). After drying off and some lunch I boarded the Ecological Jungle Train, a quiet, natural gas powered train that leaves from close to the park entrance. The 25 minute train ride runs along 14km of track through remote parts of the park, destined for Devil’s throat cascade, the highest, most powerful, and the tallest of Iguazu’s many cascades. Although the Devil’s Throat is actually closer to the Brazilian side of the falls, the Argentinians have rigged up a set of walkways spanning over 1km that took me over the top of some of the most dramatic parts of the falls. The train dropped me at the beginning of the walkway and the closer I got to Devil’s Throat Cascade, the louder the roar of the surging water became. At the edge of the walkway, overlooking the incredible volume of water gushing past, I realised how incredibly powerful the falls are. This was a moment that will stay with me forever. 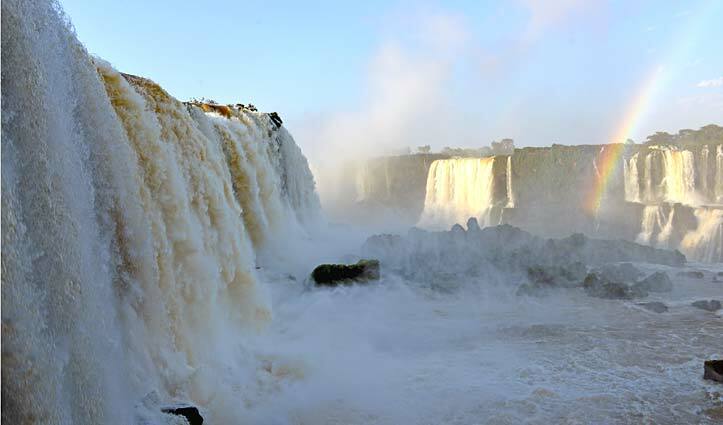 Although my day was spent on the Argentine side of the falls, it is also worth visiting the Brazilian side which offers panoramic views from a different perspective. 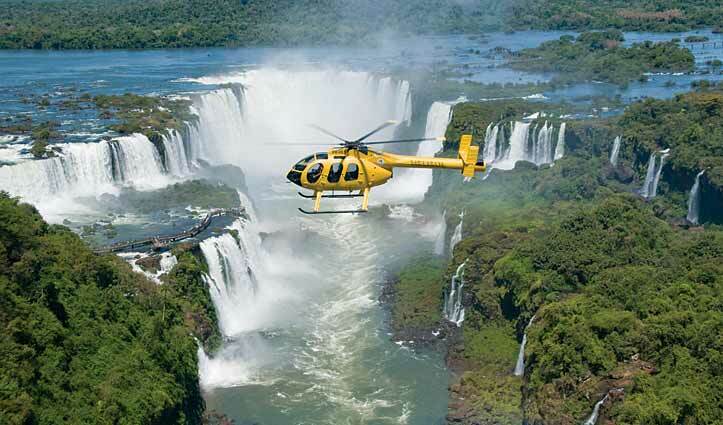 It also offers the option to take a helicopter ride for a ‘bird’s eye’ view of the Falls. 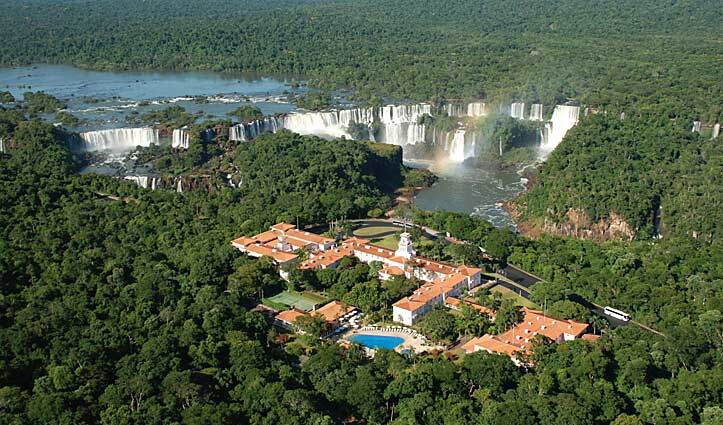 If you do choose to visit the Brazilian side you also have the option to stay in the only hotel inside the Iguassu National Park; the luxury Belmond Hotel Das Cataratas. As a guest you will have the privilege to enter the park before it opens to thousands of day visitors, giving you a few hours of serenity in the park virtually by yourself. 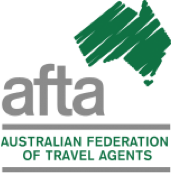 For details on Iguazu Falls or to book a tailor-made trip in Latin America contact South America Travel Centre 1300 784 794 or email: contact@satc.com.au. 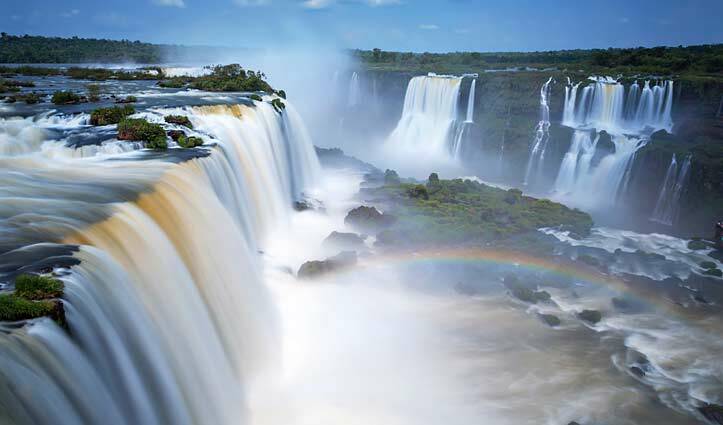 About the Author: Tahlia Favero (South America Travel Centre – Sales Assistant) recently realised a long-held ambition of visiting and experiencing the mighty Iguazu Falls. Tahlia travelled to Peru, Bolivia and Argentina and it was the Falls that made the greatest impression (and not just because she got drenched). Stay up to date with all things South America, Antarctica and High Arctic by signing up to our email newsletter ‘Tailor-Made Journeys’.